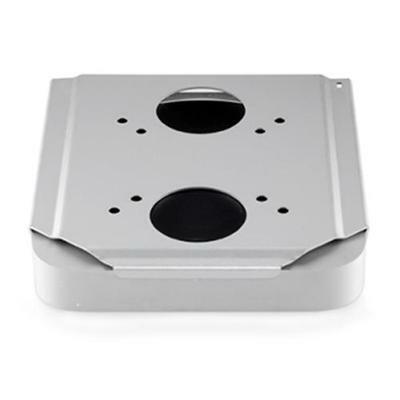 The Mac Mini Security mount is the simplest mount on the market to install while providing the highest available security for your Mac Mini. Here's some interesting news from the File Transporter world. Drobo had been on the decline (in our opinion and by our own perception) and the File Transporter by Connected Data has been a really unique solution to some of the same data storage dilemmas. For those of you that have used it, it's a blend of DropBox and what most of us techie type want or use already (physical hard drive based, on-premise storage without ongoing costs, I.E. NAS, Server, etc.). More about the File Transporter here. Adding the social element as the File Transporter has done, is truly a unique way to distribute data with people you trust/already sharing with. While I first had mixed feelings about this merger/acquisition by Drobo, I think it's a good move for the developers and certainly a win-win for Drobo in my opinion. Hopefully, a large company like Drobo will be able to incorporate the features of the File Transporter in their new product lines, but not abandon the early File Transporter adopters. At any rate, the features of the File Transporter in a proven product like the Drobo product line is going to make a really good next generation Drobo product. Dear Partners - it's been a busy week at Connected Data. We announced our availability in Europe, we announced Transporter Version 2.0 and our new Android app, and as you may have recently heard, Connected Data and Drobo have entered into merger discussions. Currently both companies are involved in a 30-day due diligence process. Please rest assured that as a valued partner of Connected Data, our relationship with you will remain unchanged and business will continue as usual during the due diligence period. Customers can start pre-ordering Transporter from retailers in Europe, and shipments will start mid June. Transporter Version 2.0 will be available in June as a free software upgrade, and will make your Transporter more user friendly than ever. Click here for more information about Version 2.0. If you have any questions, make sure to reach out to us at partners@connecteddata.com, or call us at 888-517-3786.